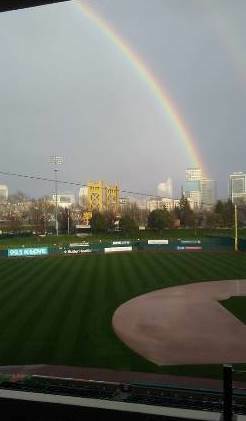 The rainbow really does end in Sacramento! My nephew Milan has captured proof. :) This was taken at their minor league team, Sacramento Rivercats, stadium where Milan works.